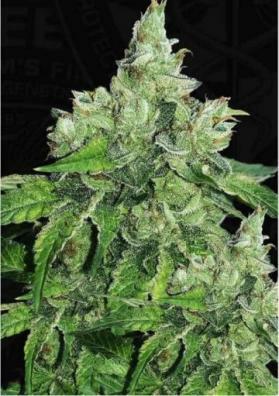 MK Ultra is a indica dominant Marijuana strain being one of the most potent Marijuanas in the world. It provides a feeling of comfort with a mix of relaxation, euphoria and hapiness. 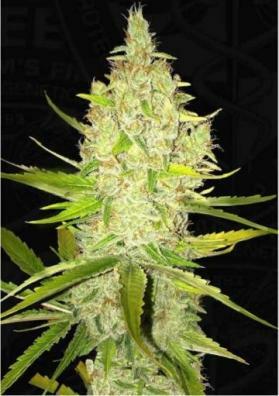 The MK Ultra is a feminized Marijuana strain from TH Seeds created by crossing the legendary G13 and OG Kush, with a high percentage of THC. Due to its high hipnotic effect, this strain was used in CIA experiments with LSD by the 50s. It is not recommendable to do complex activities upon its effect just because you can't do them. In fact, MK Ultra creates a feeling of comfort with a mix of relaxation, euphoria and happyness. The power and speed of its effect are features highly prized by people with strong pains. Besides that, it is also effective against stress, insomnia and anxiety. The only side effects is to cause dried eyes and mouth.